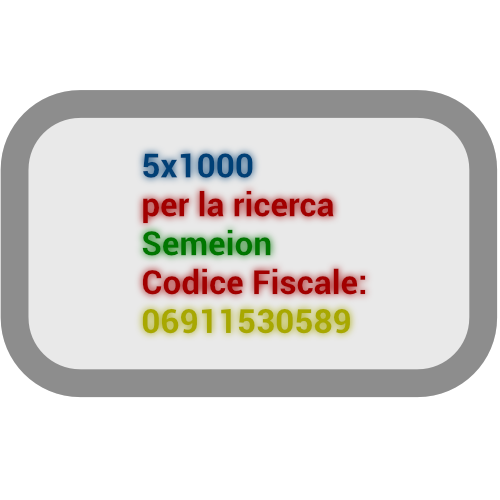 in Intelligent Data Mining in Law Enforcement Analytics, Ch.1, pages 1-9, Tastle W.J (Eds) Springer, January 2013.
in Intelligent Data Mining in Law Enforcement Analytics, Ch.2, pages 11-16, Tastle W.J (Eds) Springer, January 2013.
in Intelligent Data Mining in Law Enforcement Analytics, Ch.3, pages 17-30, Tastle W.J (Eds), Springer, January 2013.
in Intelligent Data Mining in Law Enforcement Analytics, Ch.4, pages 31-49, Tastle W.J (Eds), Springer, January 2013.
in Intelligent Data Mining in Law Enforcement Analytics, Ch.5, pages 51-88, Tastle W.J (Eds), Springer, January, 2013. 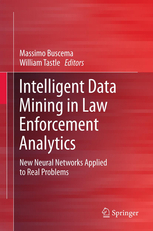 Ch.6, pages 89-117, Tastle W.J (Eds), Springer, January, 2013.
in Intelligent Data Mining in Law Enforcement Analytics,Ch.7, pages 119-135, Tastle W.J (Eds), Springer, January 2013.
in Intelligent Data Mining in Law Enforcement Analytics, Ch.8, pages 137-155, Tastle W.J (Eds), Springer, January 2013.
in Intelligent Data Mining in Law Enforcement Analytics, Ch.9, pages 157-165, Tastle W.J (Eds), Springer, January 2013.
in Intelligent Data Mining in Law Enforcement Analytics, Ch.10, pages 167-175, Tastle W.J (Eds), Springer, January 2013.
in Intelligent Data Mining in Law Enforcement Analytics, Ch. 11, pages 177-192, Tastle W.J (Eds), Springer, January 2013.
in Intelligent Data Mining in Law Enforcement Analytics, Ch. 12, pages 193-214, Tastle W.J (Eds), Springer, January 2013.
in Intelligent Data Mining in Law Enforcement Analytics, Ch.13, pages 215-229, Tastle W.J (Eds), Springer, January 2013.
in Intelligent Data Mining in Law Enforcement Analytics, Ch.14, pages 231-313, Tastle W.J (Eds), Springer, January 2013.
in Intelligent Data Mining in Law Enforcement Analytics, Ch.15, pages 315-381, Tastle W.J (Eds), Springer, January 2013.
in Intelligent Data Mining in Law Enforcement Analytics, Ch.16, pages 383-398, Tastle W.J (Eds), Springer, January 2013.
in Intelligent Data Mining in Law Enforcement Analytics, Ch.17, pages 399-413, Tastle W.J (Eds), Springer, January 2013.
in Intelligent Data Mining in Law Enforcement Analytics, Ch.18, pages 415-479, Tastle W.J (Eds), Springer, January 2013.
in Intelligent Data Mining in Law Enforcement Analytics, Ch.19,pages 481-511, Tastle W.J, (Eds), Springer, January 2013.
in Data Mining Applications Using Artificial Adaptive Systems, Ch.1, pp 1-23, Tastle W.J (Ed), Springer, New York 2013.
in Data Mining Applications Using Artificial Adaptive Systems, Ch.2, pp 25-61, Tastle W.J (Ed), Springer, New York 2013.
in Data Mining Applications Using Artificial Adaptive Systems, Ch.3, pp 63-74, Tastle W.J (Ed), Springer, New York 2013.
in Data Mining Applications Using Artificial Adaptive Systems, Ch.4, pp 75-139, Tastle W.J (Ed), Springer, New York 2013.
in Data Mining Applications Using Artificial Adaptive Systems, Ch. 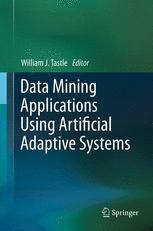 5, pp 141-182, Tastle W.J (Ed), Springer, New York 2013.
in Data Mining Applications Using Artificial Adaptive Systems, Ch.6, pp 183-209, Tastle W.J (Ed), Springer, New York 2013.
in Data Mining Applications Using Artificial Adaptive Systems, Ch.7, pp 211-230, Tastle W.J (Ed), Springer, New York 2013.
in Data Mining Applications Using Artificial Adaptive Systems, Ch. 8, pp 231-275, Tastle W.J (Ed), Springer, New York 2013.